On July 6, 2013 the Chariot Fire raged in the Laguna Mountains nearby. I was camping up there that weekend and had to evacuate. 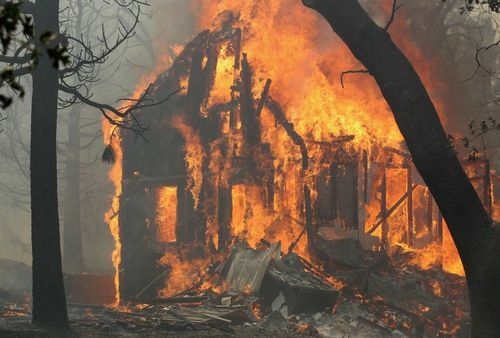 The fire burned over 7,000 acres of forest and destroyed 149 structures. After the fire I was hired to assist in evaluating the cost of some of the lost structures. One of these were a small lodge, Foster Lodge, owned and operated by the Sierra Club. The cabin was completely destroyed. 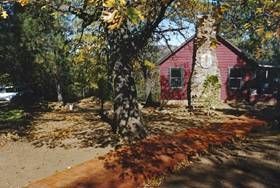 Note the Oak trees that surrounded cabin. Most of these old growth Oaks were lost. 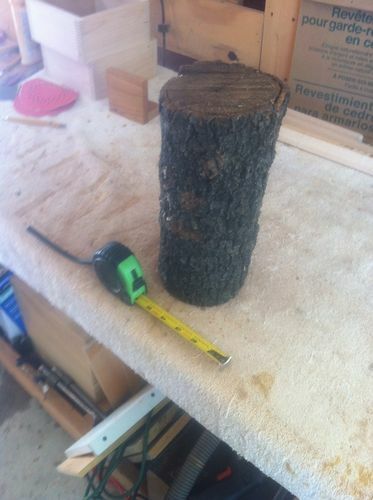 While on the site I had a small section of the one of the trees cut. I dried it for a year and then on the anniversary of the fire turned it into this simple little box. Southern California fires take so much from us every year. I’m glad I could save this little piece. Man I’m glad you posted this! It not only is beautiful, basically because it doesn’t look plastic, but because as you said it saved a little piece of beauty out of a tragedy. Thanks so much for posting. 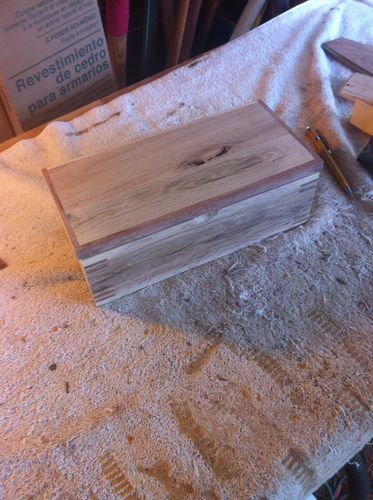 It also remind me of that fine woodworking doesn’t have to come from exotic and expensive material. +1 what Steve said. This is an awesome build, and a gr8 story. Forest fires make me sad, and sick feeling. Wood with a history/story is always the best kind. 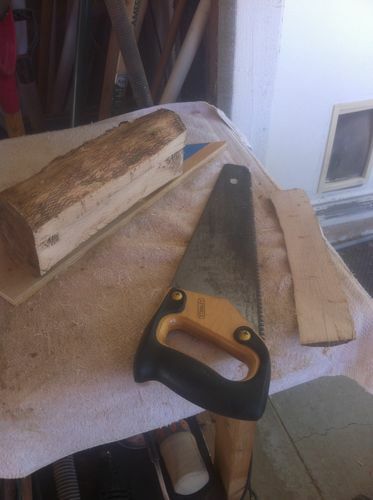 I can’t believe you sawed that lumber from that log with a handsaw! Very impressive. 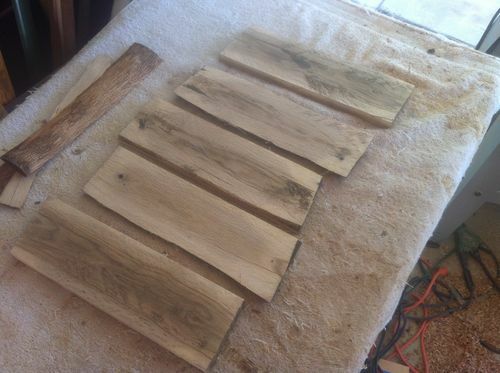 Thanks for posting this, so great that this piece of Oak has a new life. I love the way you have used hand tools as well great work. Sad story. Its nice you were able to make something nice from it. Wow. Beatiful history. Congratulation guy. Beautiful box and beautiful story. Thanks for sharing. Editors Choice….....deservedly so! This is simple elegance by way of tragedy. Like the way you did the lid/trim and the splines really set it off. True eye candy! Wow! Can’t believe I missed this earlier. Magnificent story and even better project. Great project. Good story all the way around.